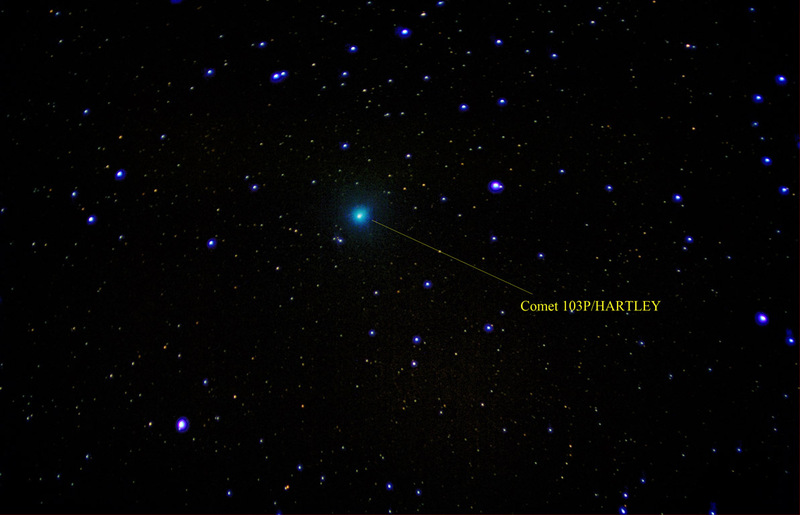 Chris Newsome captured this image of Comet 103P Hartley on the 10th October 2010. The image is stacked from twenty RAW frames of 1 minute exposure each at 400ASA. Chris used a Canon 20D camera through a Skywatcher 102T telescope guided by an 80T. Chris has also produced a 5 second movie of the comet drifting against the background stars which can be downloaded here (2.9 MB WMV file).